After a month of Sunday ‘racing’ (read drifting / floating) in very light winds, this weekend the wind decided to show up. 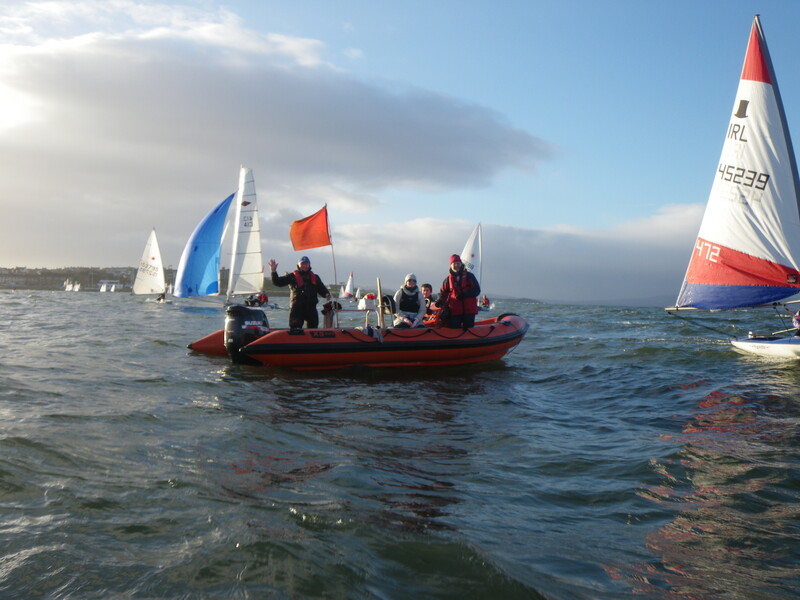 Laser sailing in heavier weather has some benefits in the winter – you are usually working really hard to keep the boat flat or upright that you have little time to get cold until you end up swimming. With the wind coming from the north, that guaranteed big swells in the bay, especially out into Belfast Lough. Closer to the beach where the committee boat was anchored, the smaller swell caught a fair number of sailors by surprise pre-race start and there were many soggy sailors before the warning signal had even sounded. One of these soggy sailors had good reason to be a bit nervous, having just bought the Laser sailed by fellow club member James Espey for Team Ireland at the London 2012 Olympics. This was only his second time out on the boat – luckily his pre-start swim only damaged the burgee at the top of the mast when he turtled it close to shore. 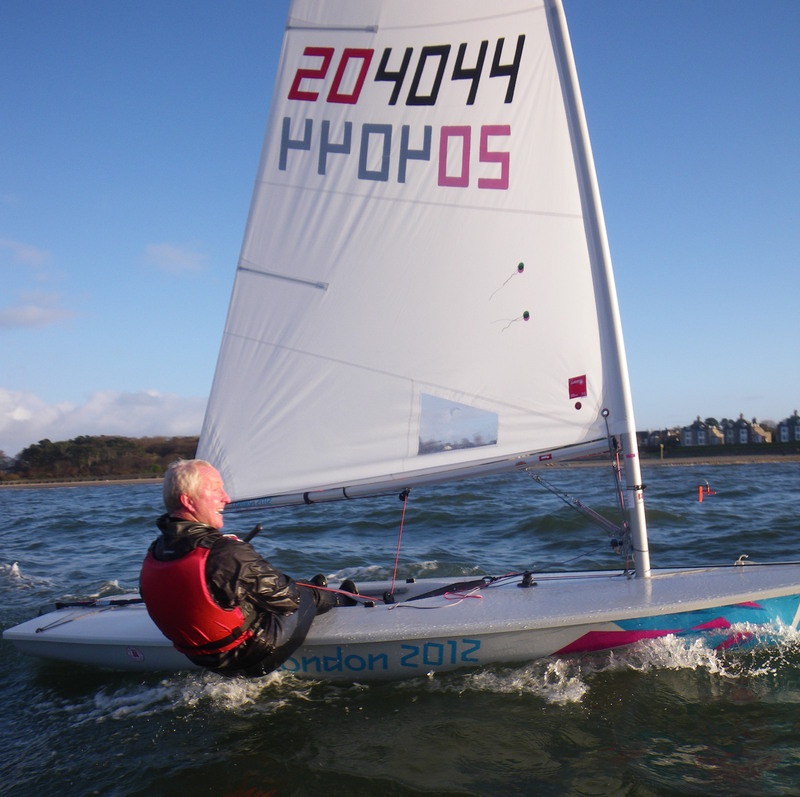 It is fantastic to see James’ Olympic Laser being sailed at Ballyholme Yacht Club. Anyway, back to the racing. Not surprisingly, people were being cautious at the start of the race; the Laser fleet starts under a black flag each week due to our amazing abilities to start a race properly. I managed to get a pretty good start – by the committee boat, inshore, where there was less swell. 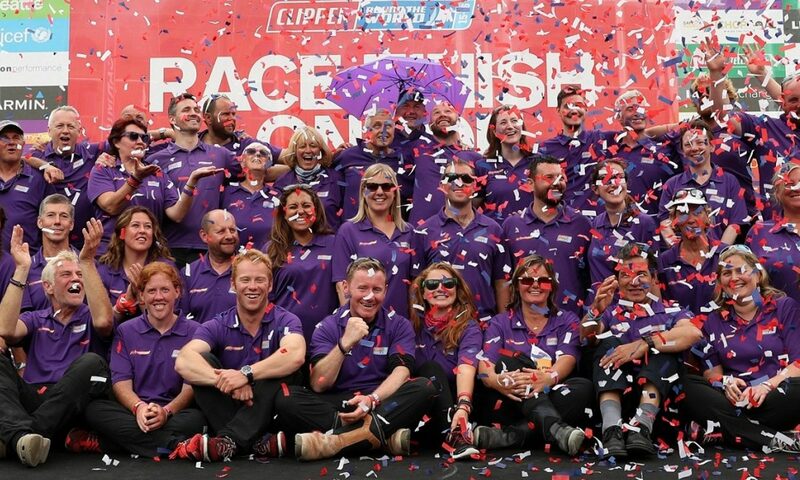 My race tactics were merely to keep the big pointy thing (mast) pointing in an upward direction for a long as possible. Compared to a lot of the other guys, I managed to do this with relative ease on the upwind leg, probably because I tend to depower my boat more than others. At times the bay looked more like a Monday evening open water swim session than a sailing race. Visiting sailors were getting caught out by the swell and could be seen doing multiple capsizes as they were being carried towards the shore. This was not a time to be smug as has previously been noted. No. This was a time for keeping concentration, whilst watching the waves loom overhead as the fleet beat towards the windward mark. When one of the catamarans pitch-poled metres from the bow of my boat, there was no smirking from me (well, until I was safely ashore afterwards). It was on the first beat that I realised that I had not tied the tiller on properly. This meant that every time I tacked the boat, the tiller would catch on the traveller cleat and stop, requiring a bit of a jiggle to push the boat through the tack. Not great news, but in those conditions I figured I would carry on and hope for the best. All was going well to the windward mark, where I bore off and immediately managed to catch a wave, surfing Laser-style. Yes, those whoops of excitement and joy were probably coming from me – the white knuckle ride had started for the downwind leg back towards the shore, where sometimes all you can do is to cling on for dear life and hope for the best. It was at this point that things started to go awry (well, you were expecting it, given the title of the post weren’t you?!). Surfing a wave is great fun… exhilarating even. The problems start to occur when you need to stop surfing and change direction, especially when you are rapidly approaching rocks at the mouth of the bay as I was. I had no choice but to gybe the boat on the wave and try to change course before smashing into land. As I stood on the upturned boat that I noticed a crack in the centre-board casing on the underside of the boat. I decided that this was a particularly good time to retire whilst maintaining my dignity (equipment failure is always a good excuse to come ashore early!). There was no reason not to enjoy the surf back though was there! As long as you return to shore the same number of times as you launch, that can be considered a good days sailing. So, I was sat out on my Laser in the bay this afternoon, the first time I have sailed in the past two months since I injured my ankle during my Level 1 training. The skies were blue, the sun was shining, and, with a southerly breeze coming off the land, the sea was flat. At 5 degrees Centigrade (41F) it was a bit on the chilly side, but I had all my winter sailing gear on so was feeling quite toasty. Having just spent the past hour reaching back and forth across the bay in winds of 15 knots, gusting 23 knots, throwing in a few tacks and gybes as well as hiking out just for the fun of it, I was watching a group of the club’s cadets being put through their paces around the club marks. 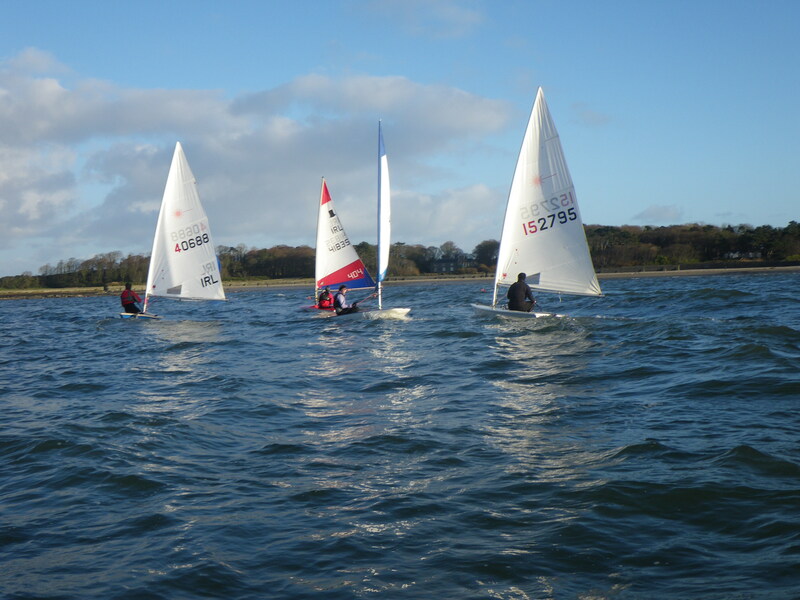 A few of them were being overpowered in their toppers and picos in the gusts, resulting in a few capsizes. ‘Well’, I was thinking, ‘at least I have kept my gear dry and so I won’t struggle to get it washed and dried before racing tomorrow’. As any sailor knows, it is quite unpleasant to put cold, wet gear on before you go out sailing, so it was a bonus that I wasn’t going to have to sort that out this evening. Did I mention it was 5 degrees and this was the Irish sea? I managed to get thrown clear of the boat during the capsize, so was having to swim back to my boat as my other mistake was to not to keep hold of the main sheet. It was at this point I realised that whilst pride may come before a fall on land, in Laser sailing “Smugness comes before a swim”.